It will be almost one year since my wife and I moved to the Yonge and York Mills neighbourhood. We chose this place not only because we have the subway station across the street from us, but because it’s a fantastic neighbourhood to live in. 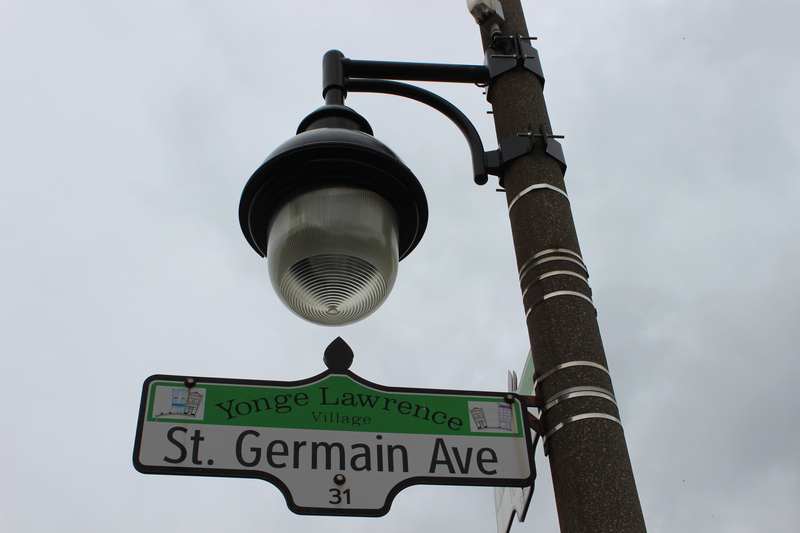 Another advantage of our place is the proximity to the Yonge and Lawrence Village. 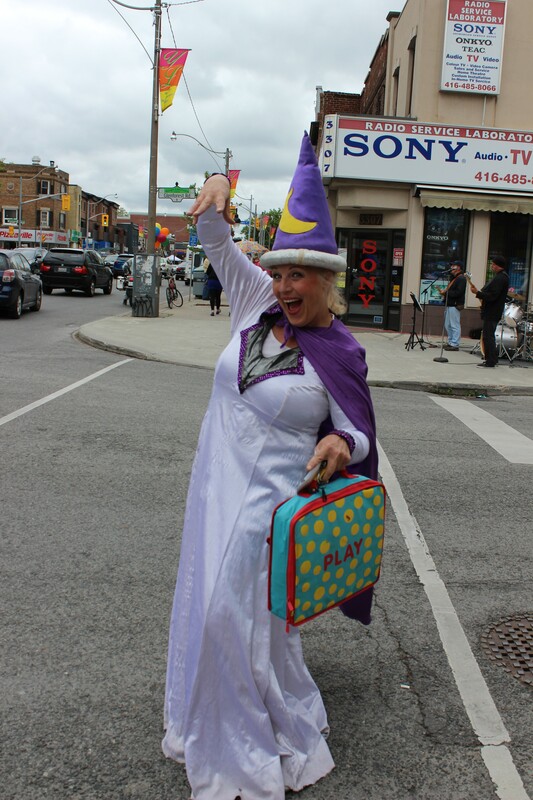 Once a year this community holds one of the many free events in Toronto throughout the spring and summer months. 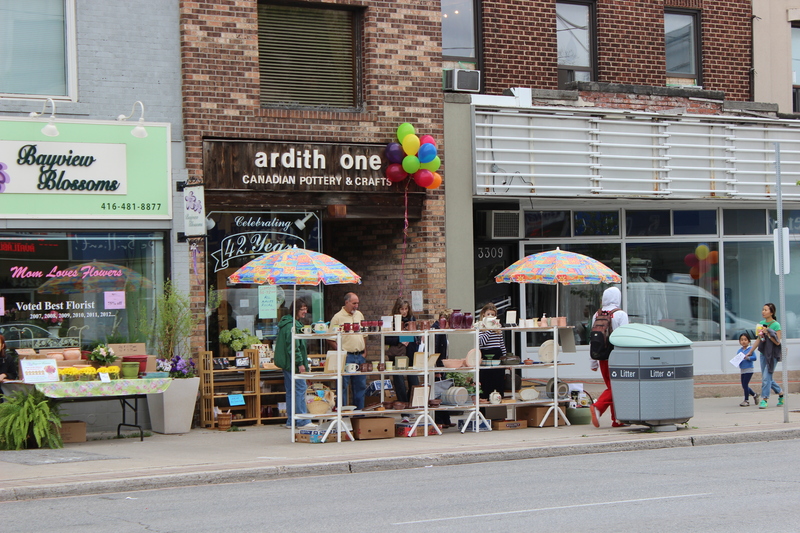 This particular one is a street festival in support of its member merchants. Its scene is a vibrant community-oriented neighbourhood surrounded by manicured parks, chic shops, and creative restaurants. Last Saturday was the perfect day for this event. It was a gorgeous sunny day, perfect for strolling up and down Yonge Street. 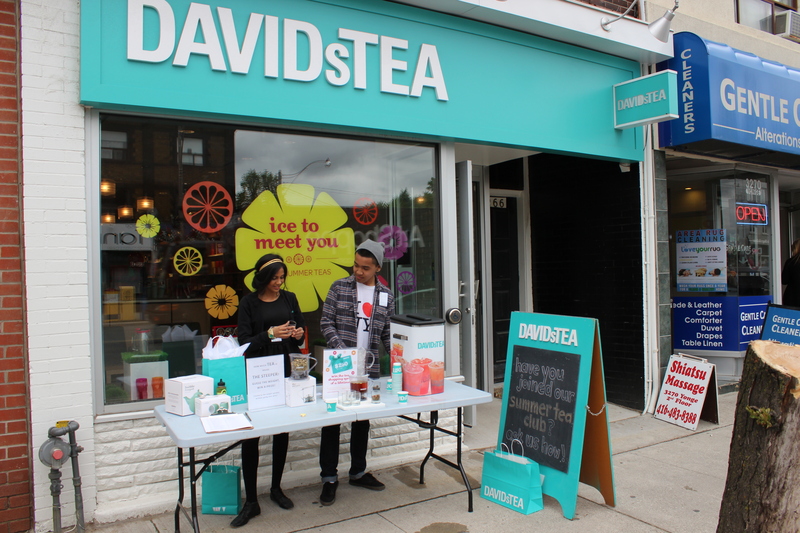 We took in the sights, sounds, and smells that come along with a good street festival. 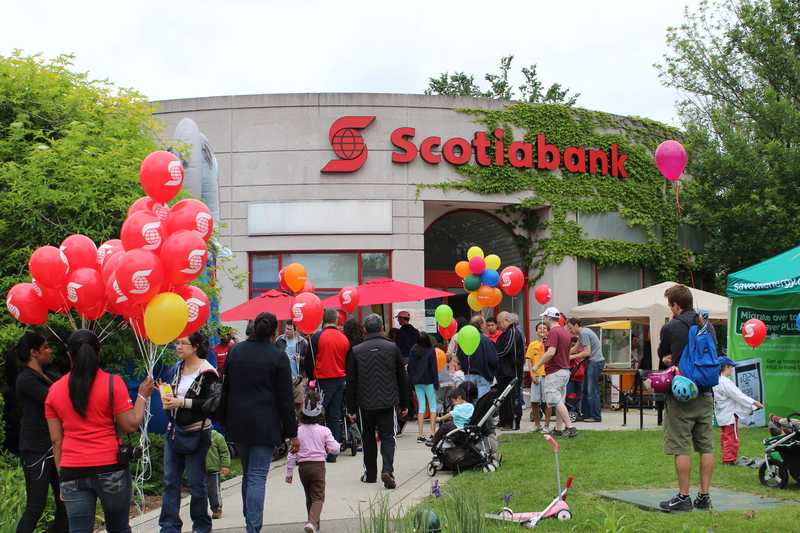 Face painting, paper hats, balloons, grilling, and cotton candy machines were all happening at this Toronto event. I don’t particular enjoy the shopping aspect but the food samples and music bands in almost every corner were a good draw for me. I love people watching and this festival also gave me a great opportunity to do that. There were different bands set up with different types of music. One of the music bands I enjoyed listening to were The Tremors. Looking for a good bargain? Whether you’re a shopaholic or simply looking for a good deal it’s good to know that this stretch of uptown is packed with a variety of shops. Many of these merchants have started their end of season sales and place lots of bargain racks for you to sift through on the sidewalk. 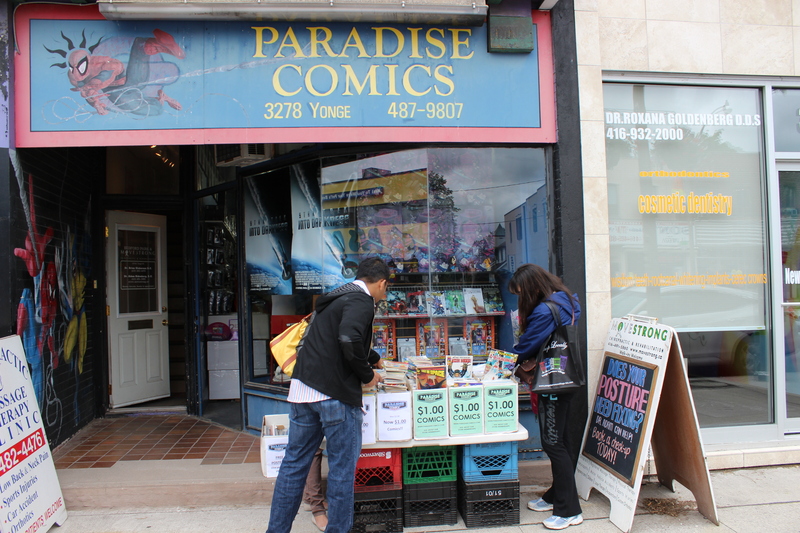 One of my favorites is Paradise Comics. They are not usually open on Saturdays but this day was an exception. Just outside their store they placed several boxes of $1 comic books. Being an avid comic book collector I couldn’t resist! For the food lover in you. 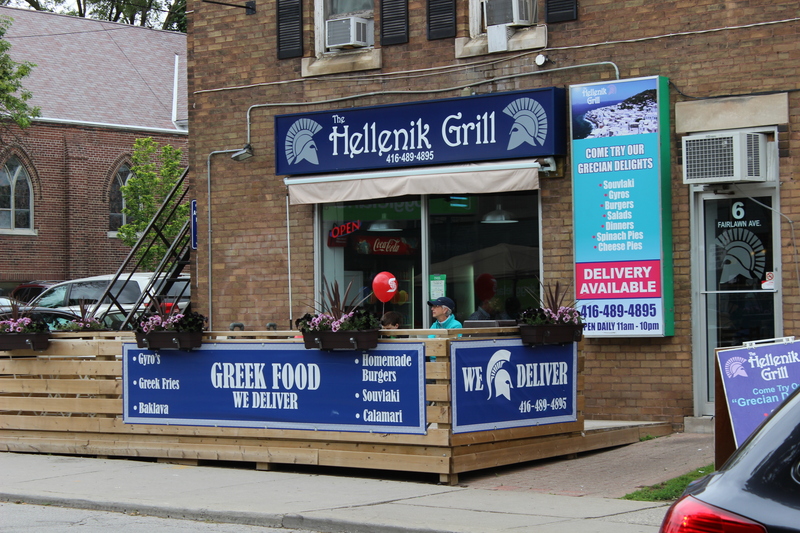 It just so happens that Yonge and Lawrence Village also has a good lineup of trendy restaurants showcasing various types of cuisines including Italian, Korean, Indian and since very recently, Peruvian. There are also several burger joints including my favourite, The Burger Priest. You can also find great diners and a couple of British style pubs. I’m very grateful to live near this vibrant part of town where you don’t have to go very far to enjoy a free family event. Remember, you don’t have to travel very far to take in new experiences. Sometimes a short stroll in your neighbourhood could be just want you need. Is there something happening in your neighbourhood this weekend? 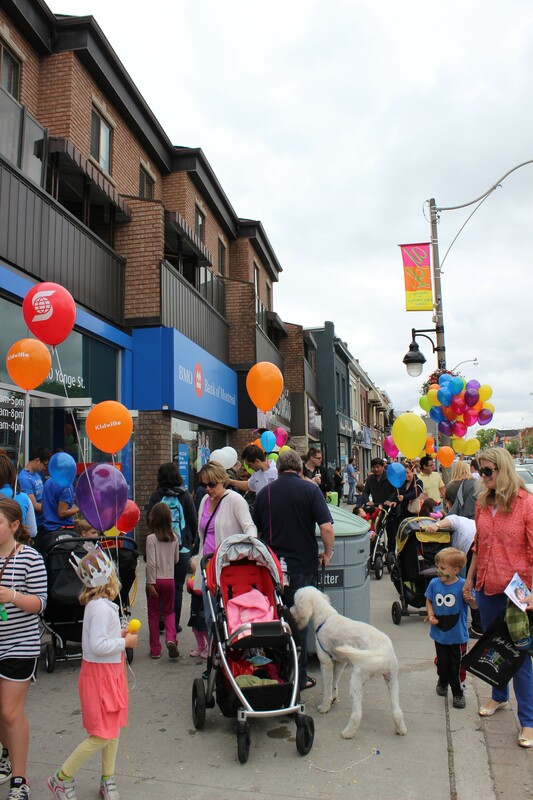 As the Chair of Yonge Lawrence Village BIA, I appreciate your comments on Village Day. I hope the thousands of people who showed up on June 8th had a similar experience to yours. We always love to hear from our neighbours… great pictures! Do you mind if we post a link on our website? Hi Bev, I certainly hope so. It was event and a great day for it. You are more than welcome to post a link and I’m glad you liked the pictures. Cheers! It sounds like a special festival! 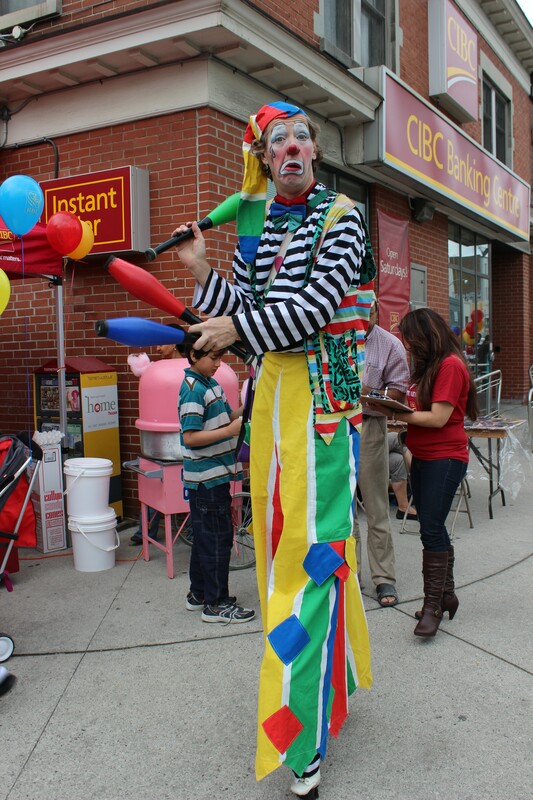 Performing for BIA’s is a specialty and as you see this “Crimenose” Clown “Ernie EverLosT” aka Mikel Renout Toronto’s leading Clown entertainer had a great time at the Village Day event. 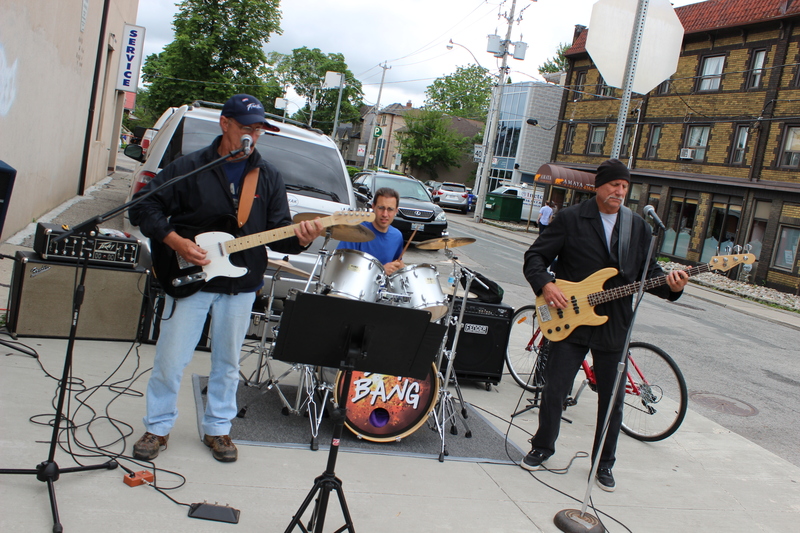 The past several years at the Y & L BIA Festival I have performed a wide variety of character’s. Hi Mikel! I can definitely see that you enjoy performing there. I look forward to seeing you during this year’s festival, if you’re still around. Let me know if you plan on doing so and I will do some extra photo takes. Thank you for doing that. It’s a fun festival. Cheers!